A6 pad. 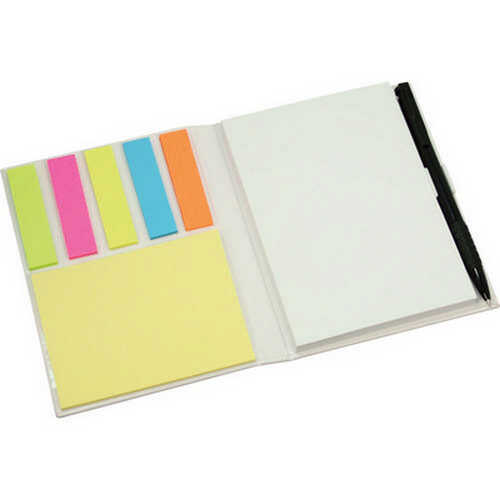 Large and medium sticky notes. 5 coloured tabs. Pen. Product Size: 145 x 120 x 20mm. Product Packing: Bulk packed. Decoration Size: 80 x 100mm. Decoration Position: Front cover. Decoration Method: Pad Print. Carton Quantities: 60. Carton Size: 38 x 32 x 20. Carton Weight: 12. Colour: White. Price includes : Pad Print 1 Colour / 1 Position. Setup is included.